Mother’s Day is just around the corner. 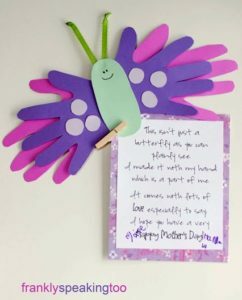 Children will have fun making these unique butterflies for mom or grandma for Mother’s Day. And these will be gifts that will always be cherished. This isn’t just a butterfly, as you can plainly see. I made it with my hand, which is a part of me. 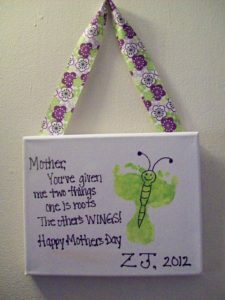 Mom will love the framed butterfly footprints! 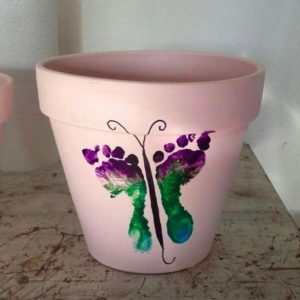 Another cute idea is to paint a pot and add a foot-print butterfly. Then plant some flowers inside the pot. 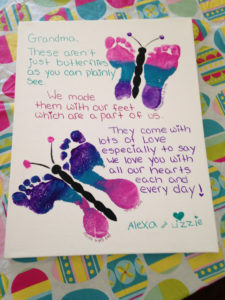 I love this idea using both handprints and footprints to make butterflies and flowers. You can custom order this from My Forever Prints. Here is a another little poem to go along with the butterfly prints. 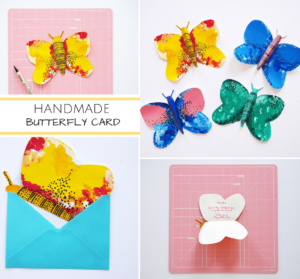 These beautiful and colorful butterfly cards are fun for kids to paint and add a special artistic touch. A simple pop-up card with a lovely message will make any mother happy! 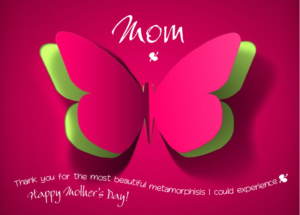 Wishing all you mothers and grandmothers a wonderful Mother’s Day filled with butterflies!